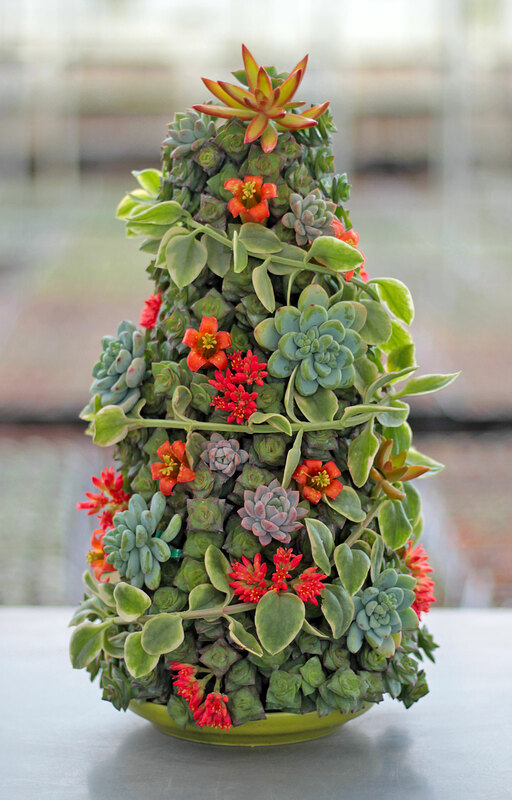 The holiday season is here, and succulents are a great DIY option for making stylish botanical decorations that will keep growing into the new year. 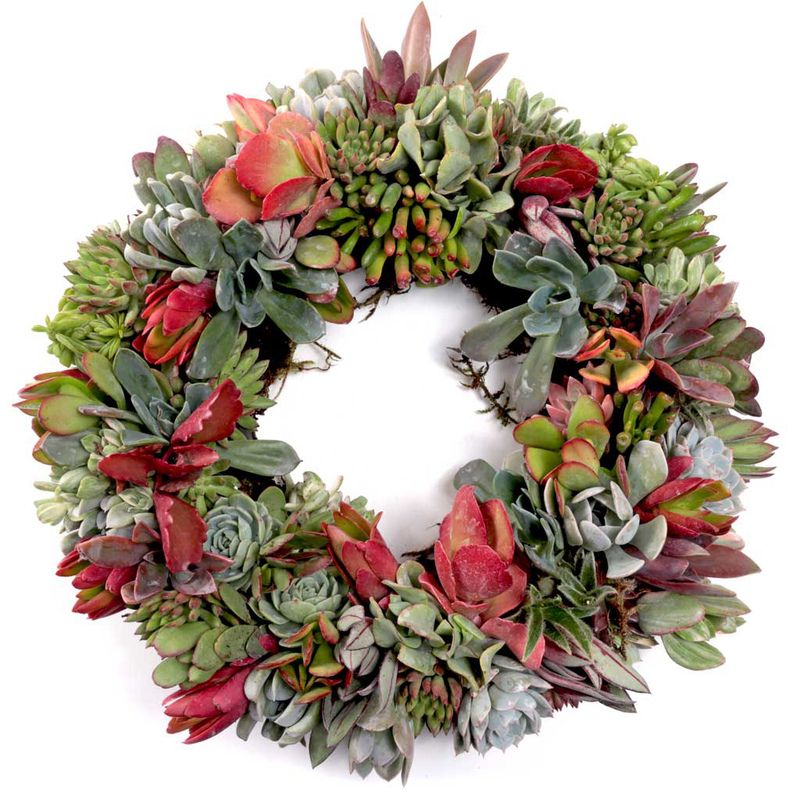 Wreaths, ornaments, gift wrapping, and more - there's no limit to the ways you can use succulents to make your holiday season merry and bright! 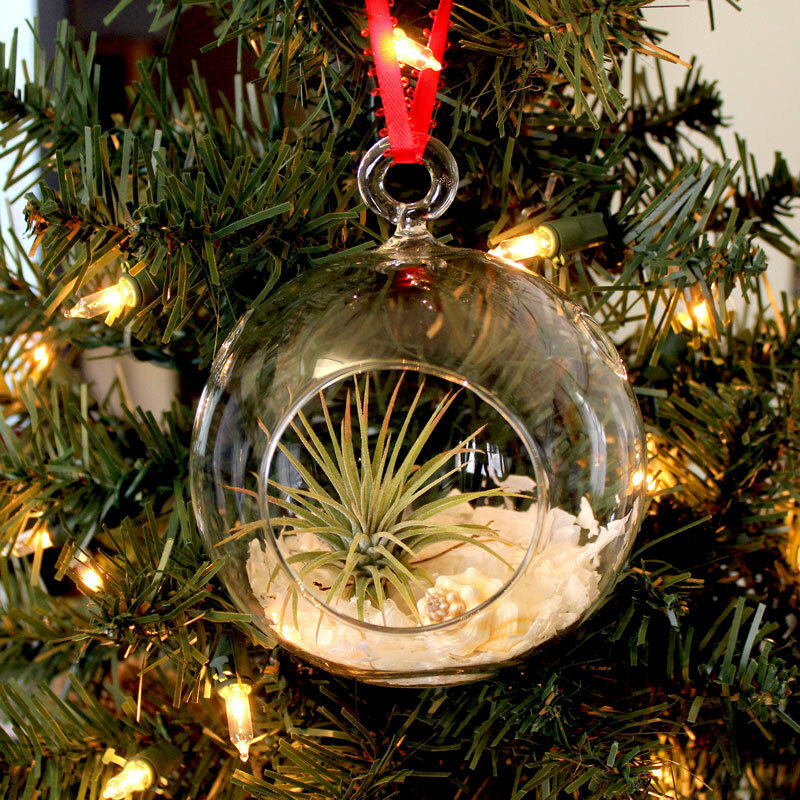 Here, we'll get into the specifics of designing decorations with succulent cuttings, plugs, and air plants as well as how to care for them through the holidays and beyond. 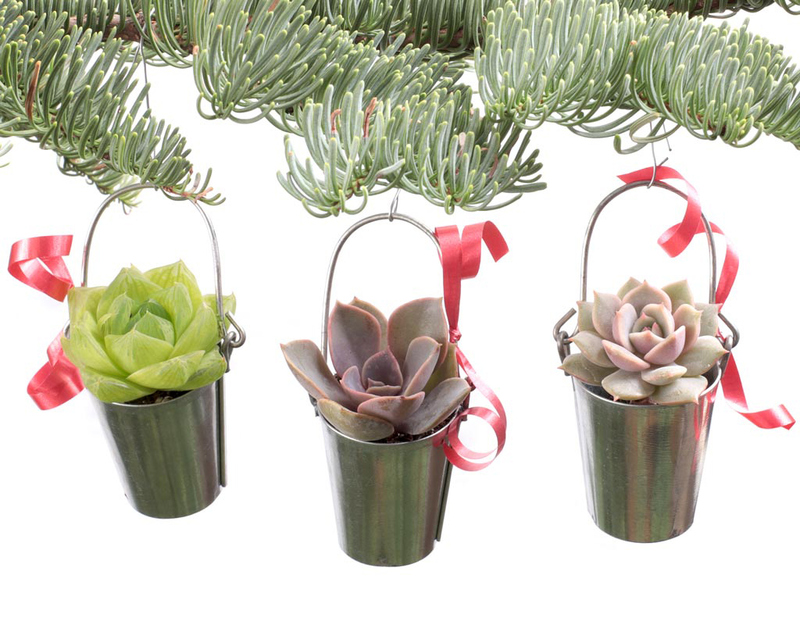 Succulent cuttings are one of the easiest ways to craft your own holiday decorations. Cut at the stem, they have no roots or soil and require little to no maintenance. The cuttings will hold their colors for months if kept in sunny rooms. For optimal health and vibrancy, keep them in sunny rooms and mist them 1-2 times a week once aerial roots form. But what if the room isn't particularly sunny or you don't have time to water? You're in luck, because our winter dormant cuttings can tolerate a month or two of neglect. Cuttings left unwatered or in low-light may start to wilt and fade to green, but they can recover fully once given occasional water and transitioned back into brighter conditions over 1-2 weeks. In general, soft succulents like Echeveria will offer pastel shades while hardy succulents like Sempervivum come in deeper earth tones. They can easily be affixed to gifts, ornaments, or wreaths with hot glue, but opt for ribbon, wire, or twine if you hope to eventually remove the cuttings and plant them after the holidays. The gift wrapping below shows both options; the succulents on the left are glued to the present and those on the right are simply slipped under the ribbon. 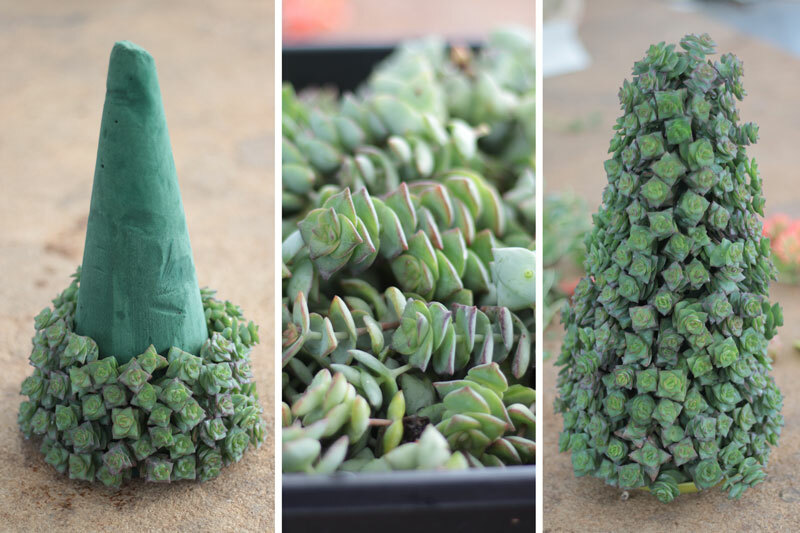 You can also use cuttings to make succulent ornaments. 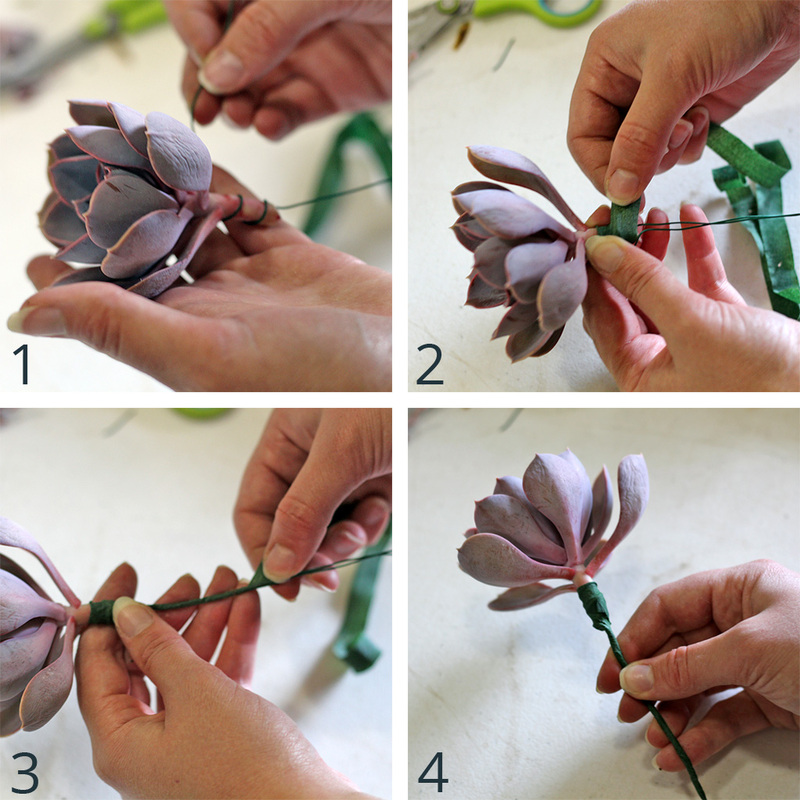 One simple approach is to wrap a bit of wire and floral tape around the stem of a cutting to create a stable base. Follow the visual guide below to make your own, or browse all of our hand-crafted ornament designs from the nursery. If you choose the clay pots, use hot glue to attach a loop of ribbon or twine to the top of the inside lip. 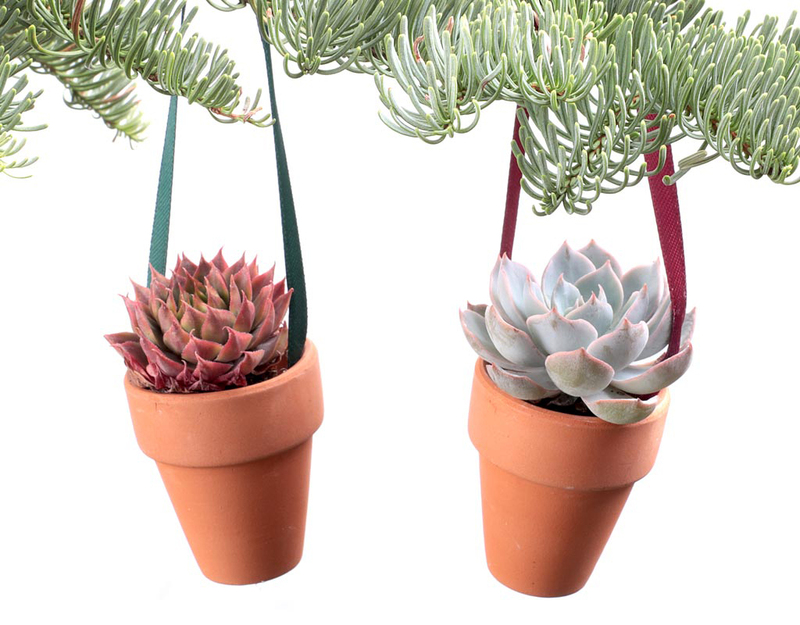 Insert a succulent plug into the clay pot or tin pail and hang it on a tree. Simple as that. As with cuttings, winter dormancy means that these succulent ornaments can better tolerate a bit of neglect until the new year. Try to water 1-2 times a month while they are in the mini pots. After the holidays, transplant them into a larger container and resume normal care. Our full Care Guide can help if you're curious where to start. Soak for 1-2 hours once a week. Shake off excess water and give the plant as much indirect sunlight as possible so that it can be re-purposed after the holidays. Making decorations from cuttings and air plants will help reduce waste and the plants can be grown long after the holidays are over. To make things easy, we've created this Guide to Propagating Cuttings that shows how to grow succulent cuttings into mature, rooted plants. For air plants, remove them from the arrangement and begin caring for them as described in the Air Plant Care Guide (found by following the link and clicking Read More). 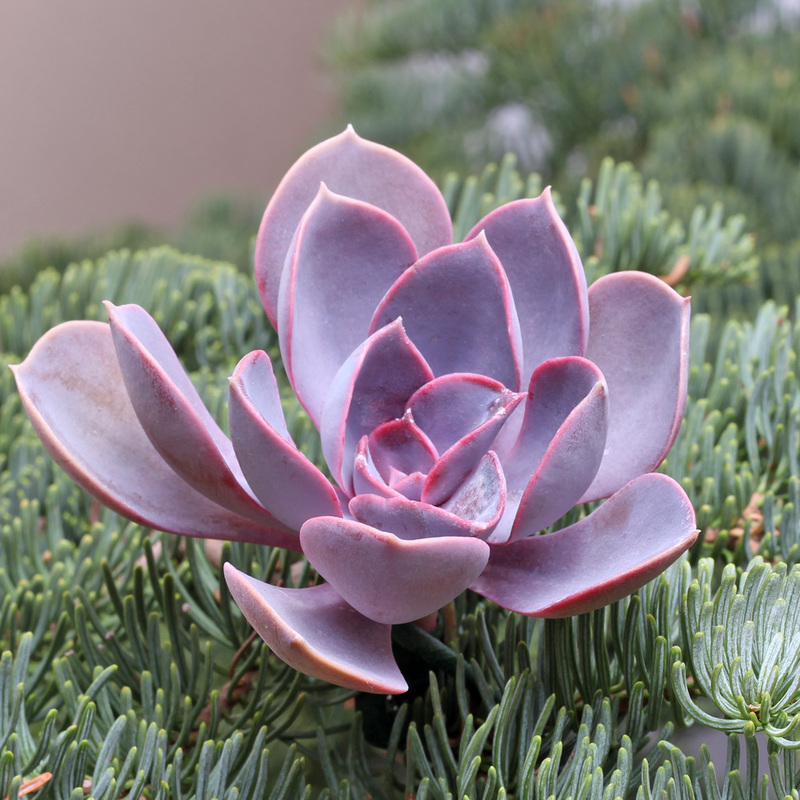 Happy Holidays and we look forward to seeing your DIY succulent decorations over in the gallery of Customer Photos!